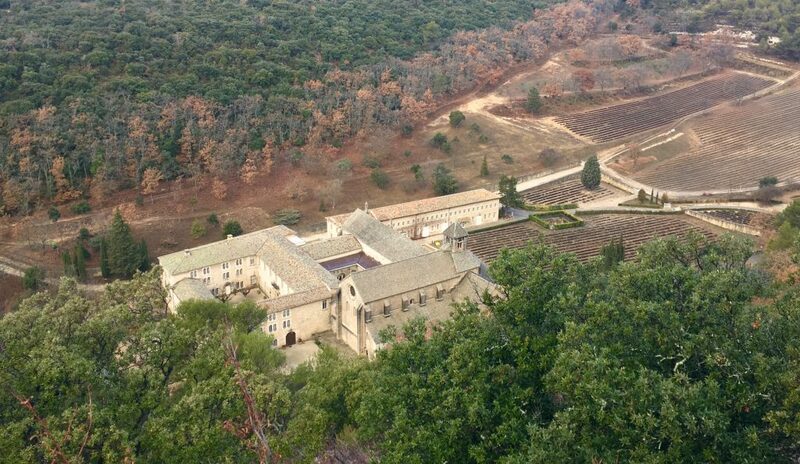 Olive trees, lavender fields, stone towns atop hills, and of course, rosé. Provence, in the south of France, is one of those regions that almost inevitably provokes a sigh of longing when mentioned. Summer is definitely the high season here. 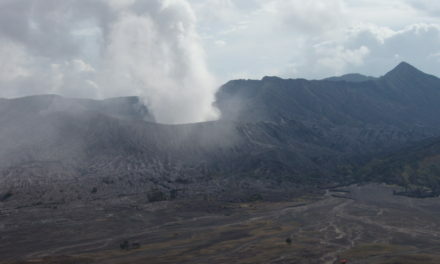 Hot and dry, with sun and more sun all day long, it’s easy to understand why. Once in Provence however, just as you bend over to take in that lavender, the dream is shattered: busloads of other lavender-sniffing tourists ruin your moment. In the villages, it’s almost an amusement-park; impossible to get an authentic feel. 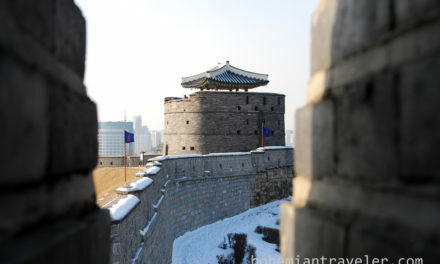 Instead, go in winter to have the whole region to yourself. 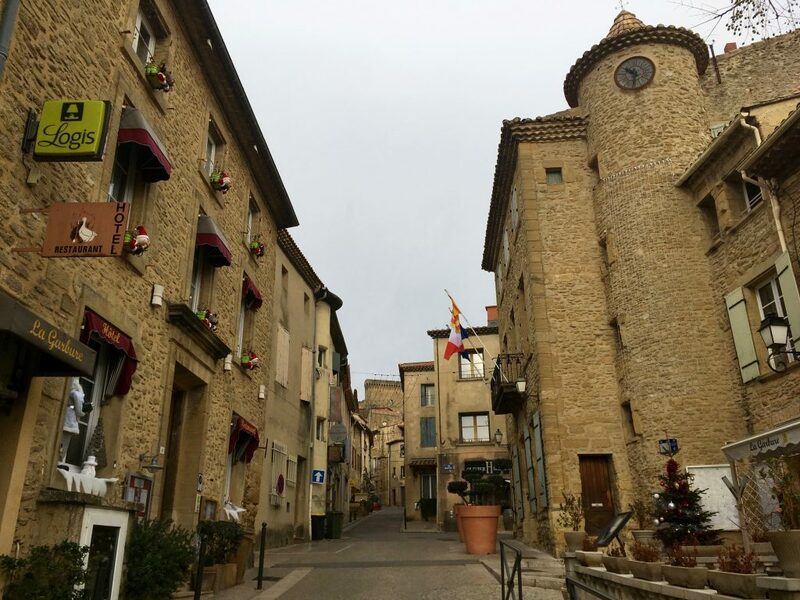 If willing to sacrifice pool weather for crisp and quiet, virtually empty countryside, seeing picturesque Provence villages in wintertime is for you. Here are some of my favorites. Saint-Rémy-de-Provence is in the center of the Alpilles (small Alps) regional park. Larger than other villages, it’s known for the Saint Paul Asylum, Vincent van Gogh’s penultimate home, which he left only three months before his death. Beside this, Saint Rémy offers wonderful dining options throughout the year, from sushi and pizza to Michelin stars. The town’s circular old center has many little cafes, shops, and art galleries, all vibrant even in winter. Worth taking a look at, right outside the village, are the ruins of the Roman city Glanum, founded in 27 BCE. 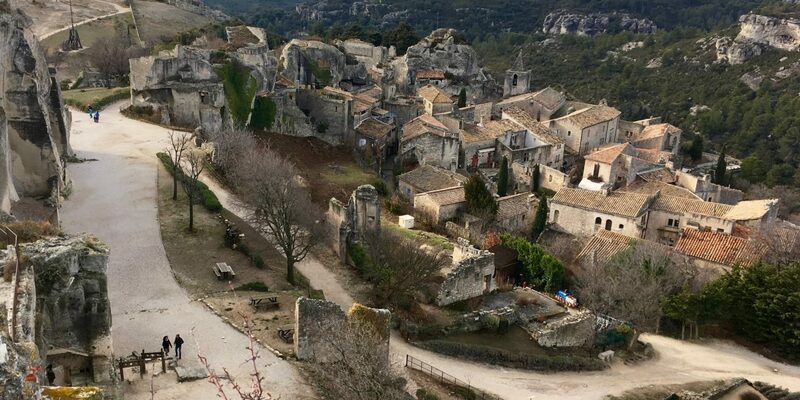 Les Baux-de-Provence is part of the association “The Most Beautiful Villages of France” (Les plus beaux villages de France), for good reason. 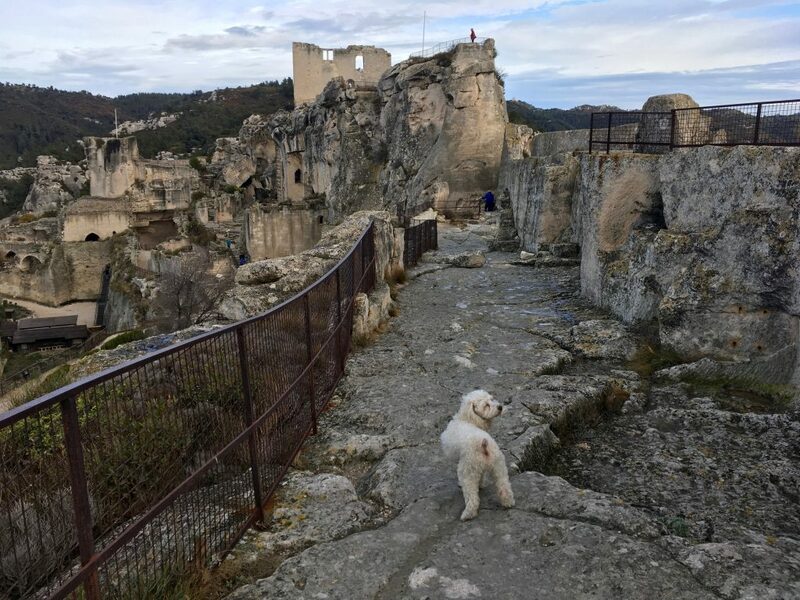 Tucked away under imposing castle ruins overlooking Provence, with views to the Mediterranean, it’s a cluster of medieval stone houses along little pedestrian streets. While here, be sure to go to Les carrières de Lumières, an old quarry now a huge interactive art space. Jean Cocteau filmed Testament of Orpheus here in 1960. Gordes also ranks in The Most Beautiful Villages of France, and its unlikely location explains why. The views both of and from the place are breathtaking. By local law, everything, including fences, are to be made of stone, and the effect is stunning. 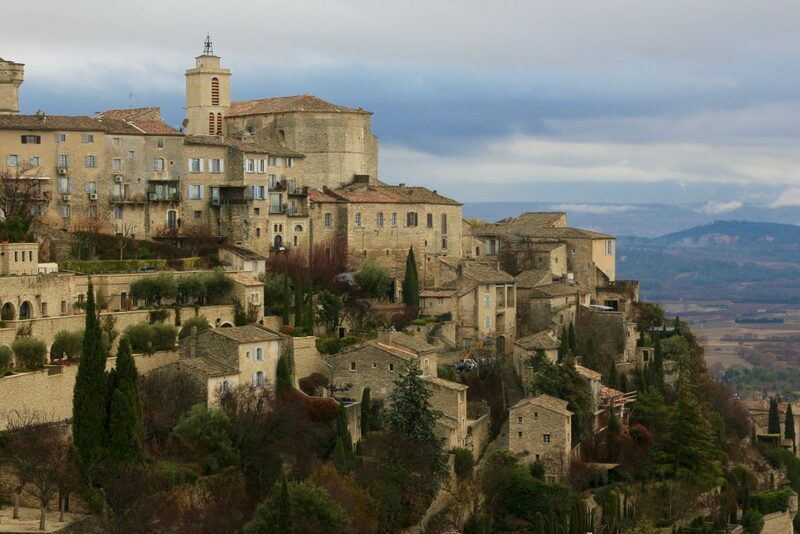 Gordes has long been known for its expensive real estate and popularity with celebrities, but in winter, this village recalls history and traditional life more than booming tourism and frivolous spending. Its location between the Lubéron and Mont Ventoux make it ideal for nature buffs, too. Eygalières is just to the east of Saint Rémy. 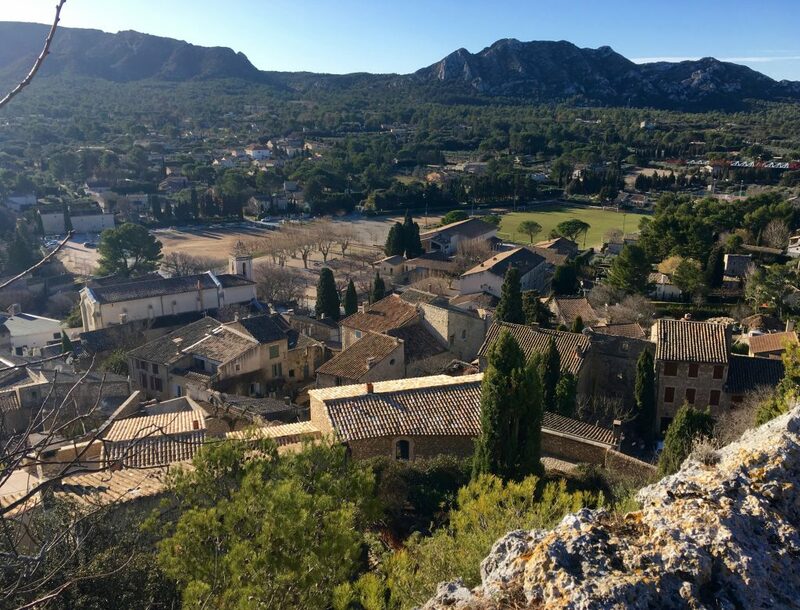 Also in the Alpilles, it’s a great place for a coffee break before or after a hike, or both. The surrounding area is full of hiking and horse riding trails, and the peacefulness of this bit of country is so positively monastic. 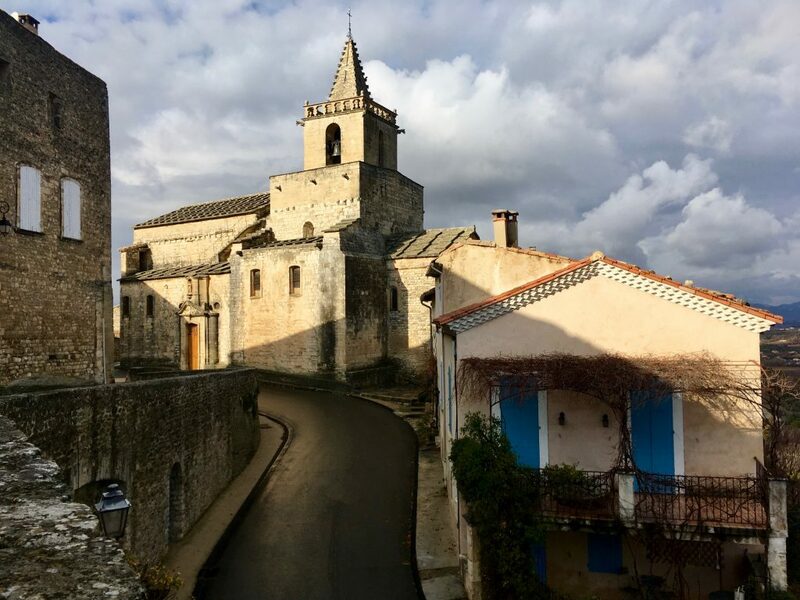 The old(est) part of this Provence village offers 360 views from the ruins of a castle (yes, another one) and chapels. An antique market takes place every last Sunday of the month. 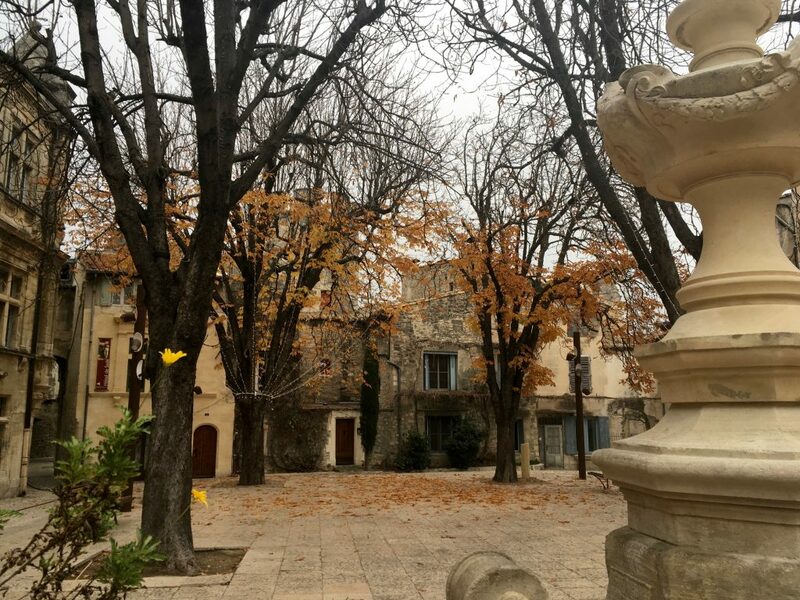 Vénasque is also part of The Most Beautiful Villages of Provence. Yet another village on a hill overlooking beautiful countryside, made up of cobblestone streets, castle ruins, and chapels, it’s a sweetly unambitious place. Close to Mont Ventoux, it’s home to a striking 11th-century baptistry. The surrounding area is home to artists studios, such as a master tapestry maker, so keep your eye out for handmade signs along the road. Châteauneuf-du-Pape‘s claim to fame is wine. Surrounding this tiny village are miles and miles of vineyards producing some of France’s finest bottles. The many shops in town have ample choices, so you need not go far to find your perfect vintage. 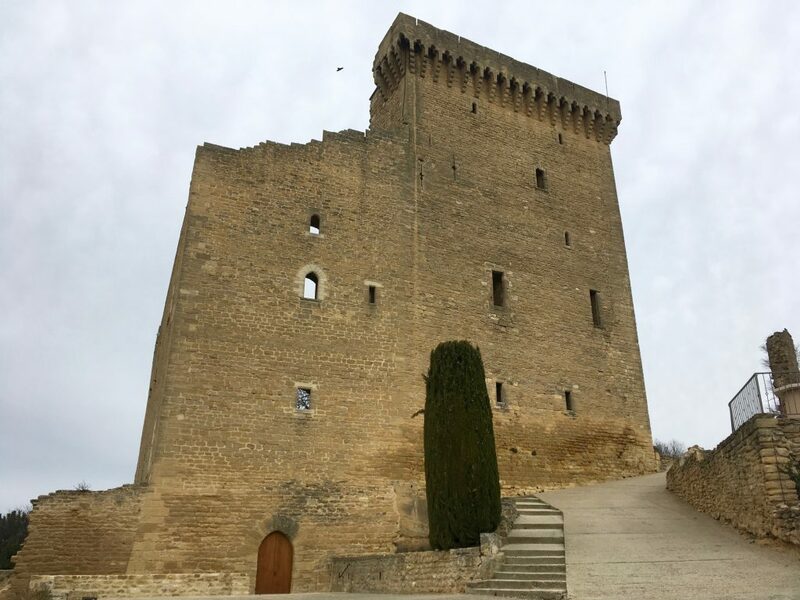 Aside from this, Châteauneuf itself is a sleepy place, on a hilltop with commanding views of surrounding country crowned by the ruins of an 800-year old castle. Tired of castles yet? You shouldn’t be! Only a brief stop is needed for this village. Just enough time to soak in local history (and wine) and enjoy the old empty streets. Driving is the best way to reach all these Provence villages. And they’re all relatively close together. Saint Rémy is an ideal base. 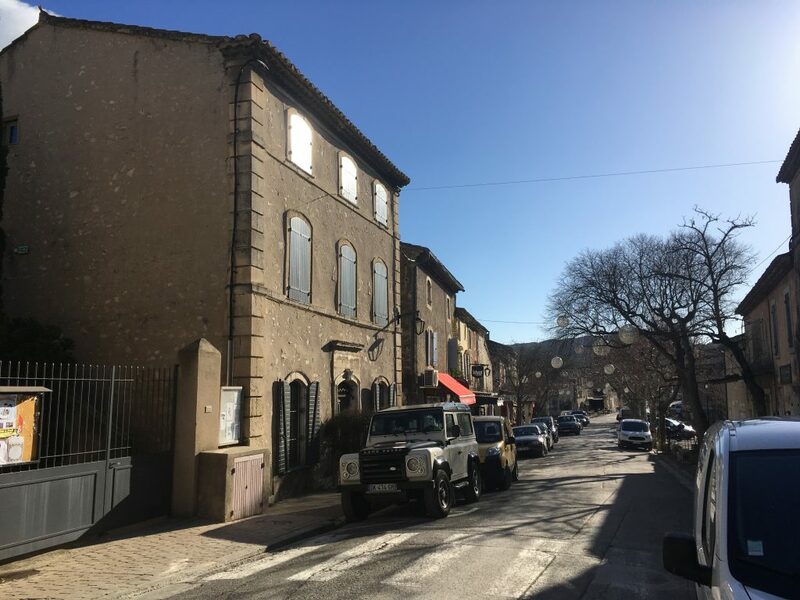 It’s situated right in the center of Provence, is slightly larger than the other villages, and close to Avignon’s TGV train station. However you go about your village crawl, make sure to take in the unique qualities of each place. And check for local happenings, too. 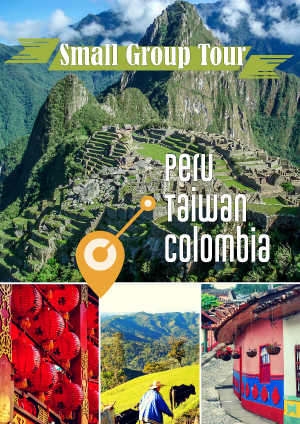 These include markets, which usually take place once a week per village. 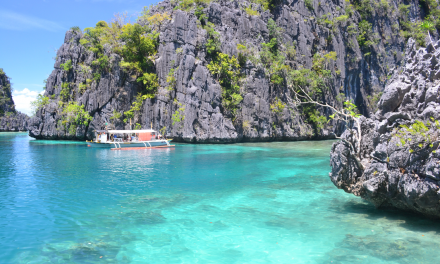 They offer up local delicacies from each area, and are a great way of supporting locals and their culture.